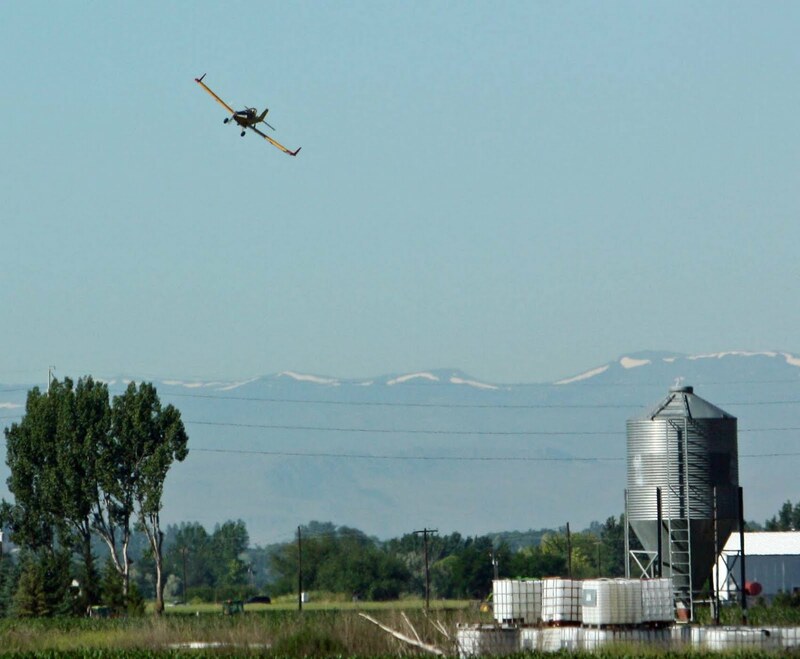 This plane was doing swoops over several fields, spraying them, probably with pesticides. Yes, the pilot did seem really close to the power lines. By the way, I took this photo last week. The snow seen on the Owyhee Mountains is gone now.